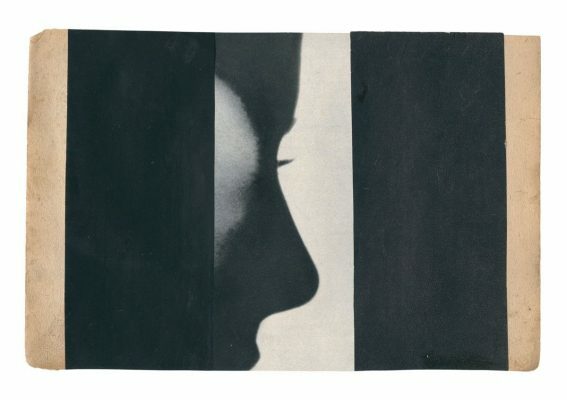 You recognize an image by Katrien De Blauwer. And if I say image it is not because I’m treating it indifferently or nonchalantly, as if I was not aware of the layered manner in which it was created, the sharp way it was cut and the delicate way it was pasted onto a light brownish, gently torn out piece of paper that serves as a mature ground for it to rest on, or the silent yet sturdy support a strip of red, blue or black paper provides. I use the word image, not because I’m not aware of those fragile layers that, once combined, form the altogether sensitive surface. I say an image because that is how it reaches me: as a consistent whole. Despite the ever present cut.